I'm often asked if it is okay to cosign for a family member or friend. My answer to this question is always the same: Are you kidding? Consider the fact that the only reason the lender is requiring a cosigner in the first place, is because the information submitted in the borrower's application shows that statistically they will be unable to repay the money. Whether it is a bank, credit union, car dealer or landlord, they have experience in the area of finance. And in the case of banks and credit unions, they have a lot of experience in the area of finance, especially in the area of lending money. They have computers that calculate whether or not someone is eligible for a loan. They have staff whose job it is to determine whether or not a particular borrower will be able to repay a loan. They know all of the statistics relating to lending money. They have all of the knowledge they have gained from making thousands and thousands of loans. And, with all of these resources at their disposal, they have determined that the person wanting to borrow the money will fail to repay the loan, and therefore must have a cosigner. So, you decide to step in and cosign for this person. Do you really know what a cosigner is? A cosigner is a person who is able to qualify for the loan that the other person cannot, and signs for the loan along with the original borrower. What this actually means is that, legally, the cosigner has borrowed the money just as much as the original borrower has. In other words if you cosign, it is just as if you had borrowed the money yourself--there is legally no significant difference whatsoever. This means that if the loan is not repaid, you can be sued, you can be foreclosed upon, your wages can be garnished, your credit rating can be trashed, and your name can be turned over to debt collectors. You signed for the loan, so they can legally do all of these things and more if the loan is not repaid. Usually, they will first try to collect from the original borrower, but if the original borrower will not, or cannot pay, you will have to. Should you cosign? Well, that depends...are you stupid? What will most likely happen when you cosign? Why is it so stupid to cosign? Well, let me first tell you what statistics, and my experience as a Budget Counselor, show will happen. Someone wants to borrow money, but his financial situation is so bad that the lenders have calculated that he is a high risk and will not repay the loan. If he wants to get the loan, he'll have to find someone to cosign who can qualify for the loan. So, even though the lender has already determined that this person will not repay the money, you step in and cosign on the loan because you know this person and you know that he will make all of the payments. You're not worried since the person borrowing the money has promised you he will make all of the payments in full and on time. Well, for the first few months, he makes the payments in full and right on time just as he promised he would. A month or two after that, the fun and excitement of whatever he spent the money on wears off and a couple of payments are a little late but are eventually made. Then, some unexpected financial hardship comes along and he is unable to meet all of his financial obligations. He lets the loan payment fall behind by one month, but he is planning to get caught up the next month. When that next month comes along, there is no way he can make a double payment, so he lets the loan stay one month behind. The lender begins sending him gentle reminders that his loan payments are now a month behind, but other than that nothing bad is really happening. Then, a few months later, another financial hardship hits. He has never been really good with money, that's why he needed a cosigner in the first place, so he has no emergency savings to deal with this new problem. He has to let something go unpaid. He figures that since he knows you, and you aren't likely to sue him, the loan you cosigned is the payment he won't make this month. Now he is really behind. He is so behind, in fact, that when the next month rolls around, he figures that being just one more payment behind isn't that big of a deal. Then, he may get married and now has to support a family, or he loses his job, or goes through a divorce, or gets injured and can't work and stops making payments completely. The loan is now several months behind and he has been getting threatening letters from collection agencies for the last two months. Three months later, the collectors decide that he is never going to pay them, so they start calling you and sending you threatening letters. If you don't start making the payments, you are going to be sued and have your wages garnished. So, in order to keep from getting hauled into court, you start making the payments on the loan you cosigned. The only legal option you really have now is to sue the person you cosigned for; but, since he is broke and can't pay you back, suing really won't get you any money. And besides, since it is someone you know, you really don't want to take him to court. So you continue to make those payments for the next several years until the loan is fully repaid. You never get your money back, and your relationship with this person is changed forever. If you cosign for someone else's bank loan, statistically, there is a 50% chance that you will end up having to make the payments yourself. If you cosign for someone else's finance company loan (car, furniture, appliances, etc.) there is, statistically, a 75% chance you will end up having to pay the debt yourself. So, if you cosign, your chances of having to repay the loan yourself are between 50% and 75%! The lender does not always even have to let the cosigner know that the primary borrower is behind in the payments. They may do it anyway even though they don't have to, but then again, they may not. They can wait until the loan is already far into default, send you notice and sue you. Then, they note the problem on your credit report and ruin your credit. They can do this because legally, as a cosigner, you borrowed the money just as much as the person for whom you cosigned. If you cosign on a car loan, and the other person's name is on the title of the car, then you can't even take back the car once you start making the payments. The car belongs to the person whose name is on the title, but since you cosigned, the debt belongs to you! You can always sue for the car, but good luck winning the case and paying all of the costs associated with the lawsuit. If the car is destroyed in an accident and is under-insured or uninsured, you are still responsible for the difference and may have to keep making payments on a car that doesn't even exist anymore! If you cosign for a rental, whether an apartment rental, commercial property rental or a car rental, you are still responsible even if you never moved into the property or drove the car. If you cosign for an apartment rental and the person for whom you cosigned trashes the place, or fails to pay the rent, you are just as responsible as if you had done it yourself! "A stupid person cosigns." It doesn't matter if it for a child, a close family member or a best friend, cosigning is a really bad idea. If you do decide to cosign for someone, don't be surprised when the story I just told happens to you. Statistically, it will. If you decide to go ahead and cosign for someone in spite of the warning you just got, make sure that you can afford to make the payments if they don't. Make sure you can afford to make all of those payments, pay off the loan, and never see any of that money again. If you cannot afford to do these things, then please don't cosign for anyone, anytime ever! 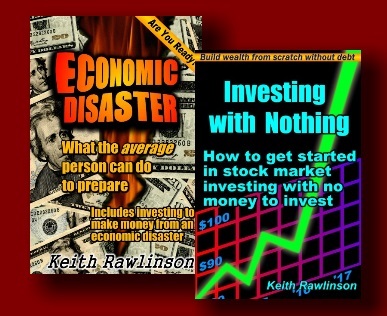 If you want to help them, then start by teaching them the concepts taught here on the Eclecticsite.com Financial Page. Or, if you can afford it, just give them the money as a gift with no need to pay you back. Can't afford to do that? Then you can't afford to cosign!